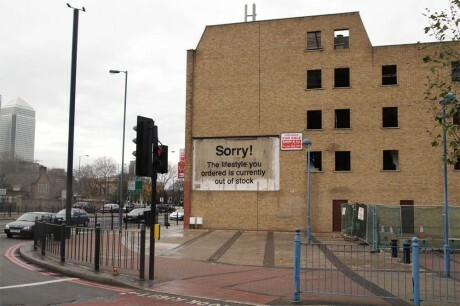 More new Banksy…This one’s on East India Dock Road, but rumour has it that it’s gone already. It’s still there, I seen it today! Sheer brilliance. Well done Bansky. Drive past it everyday and it’s still there.